It’s that time of year again. The weather starts cooling off, leaves start changing and holidays are right around the corner. I don’t know about y’all, but I love anything when it comes to fall. Especially yummy drinks!! So, I’ve rounded up a few recipes that will have you drooling! To help get ya get in the fall spirit, I’ve joined some of my favorite ladies for a Starbucks giveaway! Just a little celebration because it’s Britt’s birthday and she’s pretty fabulous. Plus, this will get some of these tasty fall flavors in your cup and make ya warm and toasty!! Be sure to enter below for your chance to win! Happy Fall, y’all!! You have me drooling over many of these drinks! Slurp! Lol!! They do look soooo yummy! I’m going to make a few of these myself!! 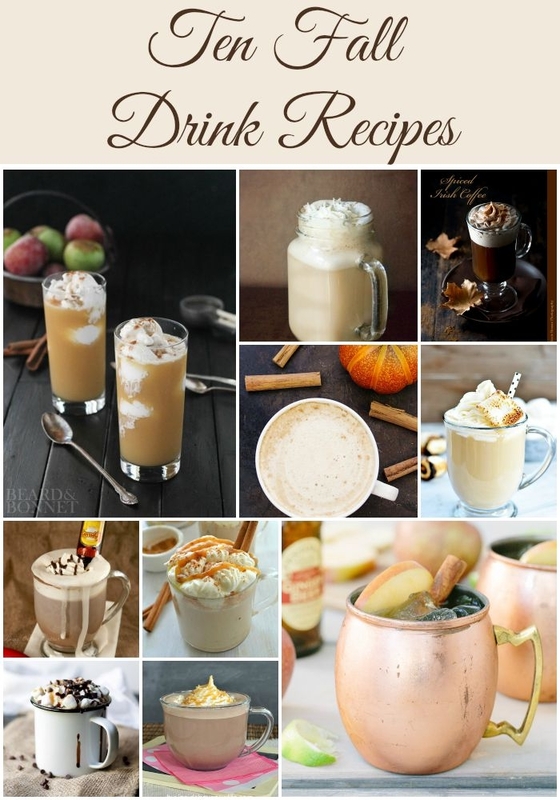 I need to try the Apple Cider Mule! Doesn’t it look so good? I am going to look for some of those copper mugs and try this recipe this winter!! Let me know how yours turns out!! Thanks for reading, Kristen!